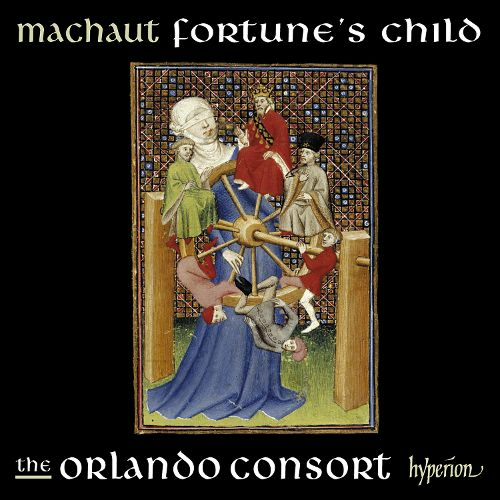 The first in our series of recordings of Machaut's chansons and our debut on Hyperion, this disc is a collection of Machaut's famous narrative sequence of poems that documents his relationship with a much younger woman, the lovely Peronne. But is any of it real? Is it the truth ('voir'), or is it myth? A postmodernist take on courtly love, or the fantasy of an old man? David Fallows in The Gramophone. Slightly tongue-in-cheek he says that it feels like the 70s again, by which we take it he means the emergence of a style of singing known in some quarters as the a cappella heresy: 'No instruments, just solo men's voices, singing text where there is text in the manuscripts, vocalising where there is none, always dead in tune, always beautifully balanced.' He praises Mark and Matt for 'the most magnificent articulation of the texts' supported by '[an] understanding of the lines gained from their senior colleagues' (which means Don and Angus). It is Angus, though, who garners the greatest praise: 'the unforgettable track here is Angus Smith performing the "Lay de Bon Esperance". 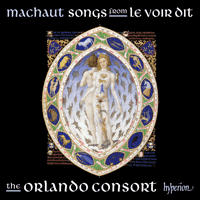 This and Machaut's other lais must be among the greatest challenges before Wagner for any singer. He's terrific.' Again, we understand that to mean Angus, and not Wagner, and we all very much look forward to hearing Angus' Brünnhilde in due course. From International Record Review, Andrew O'Connor remarks that 'this is an important and rewarding disc that any lover of Medieval music will want to own' and praises Yolanda Plumley's 'excellent booklet essay'.